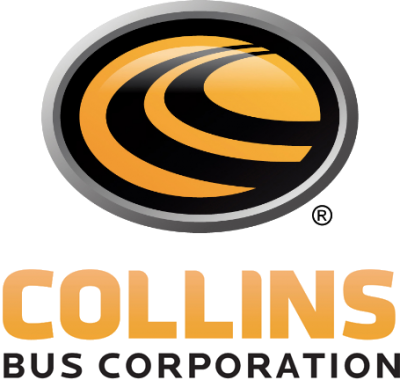 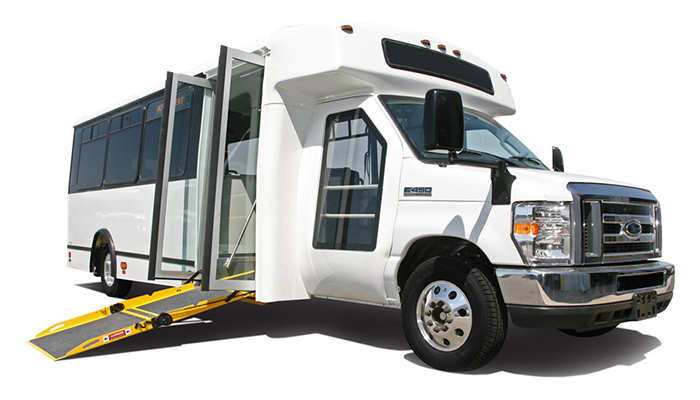 The LF Transport® utilizes Champion’s signature commercial bus design with sleek lines and a classic front cap style. 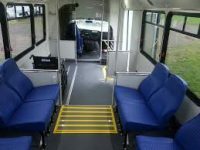 A large passenger-side cab window increases the driver’s curbside visibility for safe operation at scheduled stops. 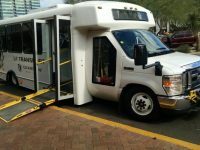 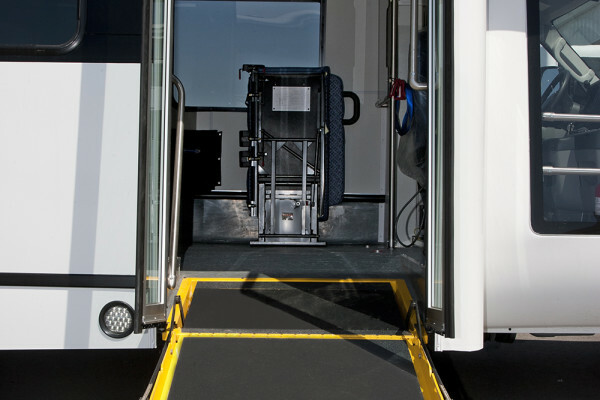 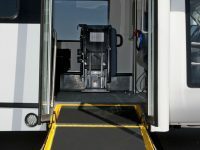 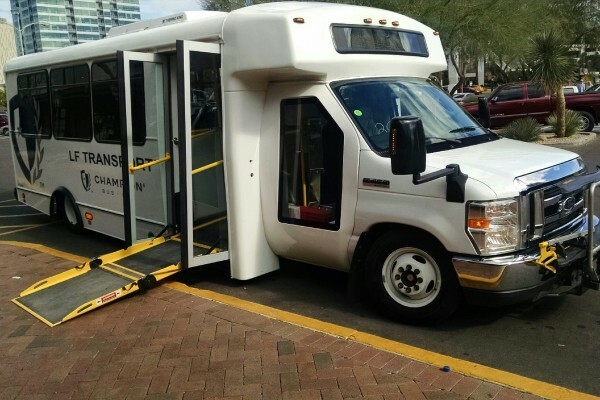 The LF Transport® is offered in a range of lengths that allow for many variations of floor plan configurations to meet desired seat-to-wheelchair ratios. 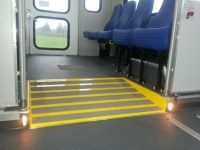 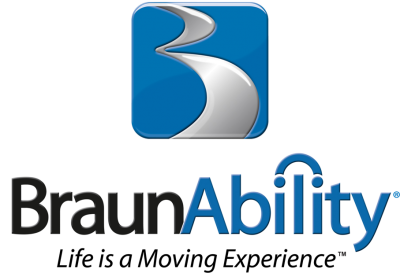 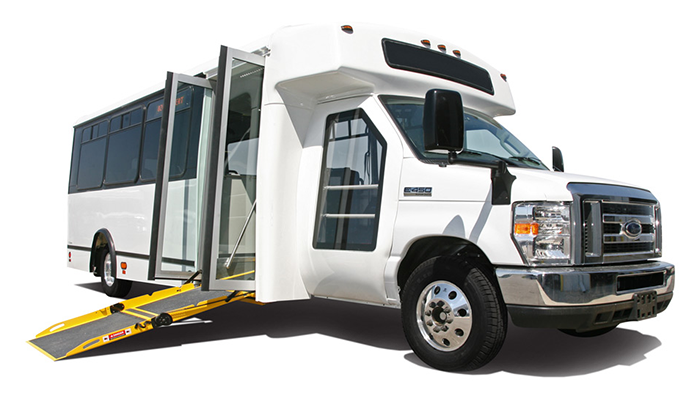 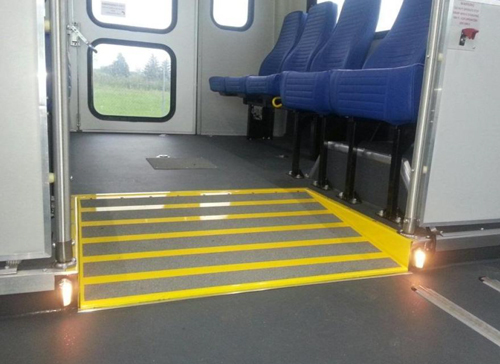 A 102″ wide true flat floor provides a spacious interior for ADA and customer maneuverability.